Zinc (Zn) highly concentrates in the brain and plays a key role in memory formation and learning processes. Zn deficiency results in cognitive impairments, memory deficits, alterations of neuropsychological behavior, and motor development. 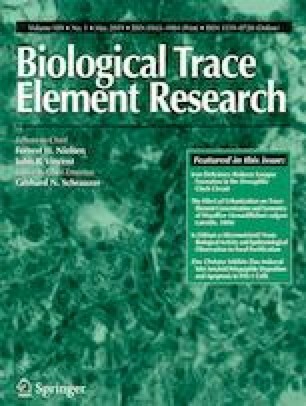 Although Zn-enriched yeast (ZnY) is widely used for dietary fortification and supplementation of Zn, the effect of ZnY on cognition still remains unclear. The purpose of the study was to investigate the effect of ZnY on behavior in Zn-deficient and Zn-sufficient rats. Three-week-old rats were fed low Zn diets for 145 days to establish Zn-deficient rats. ZnY was orally administered to Zn-deficient rats at three dose levels of 1, 2, and 4 mg Zn/kg/day for 55 days. Rat appearance, body weight, plasma and brain Zn, Morris water maze test, and step-through passive avoidance test were observed. Compared to Zn-sufficient rats, body weight gain, plasma zinc level, resident time, and step-through time in Zn-deficient rats were significantly lower. Zn deficiency impaired functions of learning and memory, while ZnY as a plausible therapeutic intervention alleviated the cognitive impairments caused by Zn deficiency. The work was financially supported by the Hubei Provincial Natural Science Foundation of China (grant numbers 2017CFB572, 2018CFB612). All procedures were performed according to the Guide for the Care and Use of Laboratory Animals (NIH publication no. 85–23, eighth edition in 2011) and were approved by our Institutional Animal Care and Use Committee.